TRY BUILDING THIS CAR FOR THE $$$$GENUINE HQ SSOBVIOUSLY MODIFIED502" BIG BLOCK 470HP @ WHEELSBUILT T400 WITH TIGHT 5K CONVERTOR3.7 9" 31 SPLINE BLLET AXLESNEW SS SEATS, DASH PADEXCELLENT BODY PAINTMADE 470 HP AT WHEELS WITH PREVIOUS OWNERCAR RAN CONSISTANT. Immaculate condition, full service history, low KM&apos; s female driver throughout. Only selling as bought a new car due to a new work arrangement. Current registration till 29 September 2015. Immaculate condition, full service history, low KM&apos; s female driver throughout. Only selling as bought a new car due to a new work arrangement. This is a 2006 B200 Turbo Elegance is an immaculate car owned by our elderly mother who no longer possesses a licence. Recently we have had the major service including timing chain replacement, new brakes and discs, new tyres, new ball joints and whatever else the mechanic wanted to do. This is a great car and will pass any test and needs nothing spent for the next owner. 2011 Mitsubishi 2.4l Petrol Cab Chassis Triton Ute. The Ute has low Kilometres (< 35000Kms), has been owned from new and has a full service history. There is 9 months of the manufacturers warranty left. The Triton is fitted with a tool chest and two small toolboxes. It has a UHF radio, Bluetooth Handsfree stereo, Heavy Duty Tow Bar with Electric Brakes, rear view camera, LED light bar, Canvas seat covers. 2006 Mitsubishi 3.8 Mitsubishi pajero 2006 vr-x 4x4 AUTO!! 2006 Pajero AUTO!!! up for sale is my 2006 automatic pajero with only 160k kms on the clock.the car is in awesome condition for its age and has always been taken care of as you can see in the photos. in the past few months i have changed both rear and front brakes, machined the disc brakes ive also changed all four tyres to dunlop all terrains with approx 75-85% tread on them and you can say everything on the car is pretty much stock. 1956 Chevrolet Task Force Show TruckThis is a rust free Texas truck. Awesome restomod restoration Performance enhanced 350 Cu. In. V/8 Short bed/ Stepside Perfect Body-No Rust 10/10 Paint Reverse flip hood Tilt column & billet steering wheel Digital dash Custom cloth interior Power windows Air conditioning. This liberty is in excellent condition inside and out with added features. 8 months rego. Non smoking owner, no pets. Full tinted windows, reversing sensors, electric everything, fog lights, sunroof, 6 stacker cd and USB and AUX. Priced to sell. Call to inspect. Equipped with ABS brakes. This car "is fitted with 18"" alloy wheels". 11/2011 Mitsubishi Pajero NW Platinum 3.2litre intercooled turbo diesel. 5 speed automatic, Graphite grey in colour, Under 36 000km&apos; s, 7 Seater sports wagon with all the factory options, Aluminium bulbar, towbar, 3000kg towing, redarc electric brake controller, trickle feed charge for caravan or. 2004 BMW X5 Sports E53 4WD Wagon, Automatic / Steptronic Fuel Type: Petrol Engine Capacity: 6 cylinder 3.0 litre Transmission: Automatic Odometer: 156500 Keys x TVP190 Sold With Victorian Road Worthy Certificate (RWC) Registration Expiry: 24 Feb 2016 Exterior colour: Grey Interior Colour: Black Features: ABS Brakes, Air Bags - Front & Side Impact 1st Row, Air Conditioning, Alloy Wheels, 6 stacker CD Player & Cassette Tape Deck, Cruise Control, Driving Lights, Electric Seats, Leather Trim, Multi-Function Steering Wheel, Park Assist, Power Windows, Tinted Rear side and back windows, Remote Central Locking, Roof Racks, Satellite Navigation, Sunroof, Side Steps, Luggage netting behind rear seats. Very tidy Sprinter with loads of extras. Excellent condition, immaculate interior, excellent paintwork with no dents. Extras include: * Fully lined and carpeted with an internal wall* Alarm and Immobiliser* Rear seats and sliding windows* TInted windows* Microwave and Inverter* 19" Alloys (stock. 2004 AUDI A8 L LONG WHEELBASE SLINE RS SPORTS AUTO 8 CYL 4.2L IN AN EXCELLENT CONDITION. BRAND NEW WAS OVER $260, 000.00 FLAGSHIP MODEL. FULLY OPTIONED WITH POWER WINDOWS , POWER BRAKES, CRUISE CONTROL, CLIMATE CONTROL, AIR SUSPENSION, ALUMINIUM BODY, POWER SEATS, SUNROOF, COLD AIRCON, CD STAKER, NAVIGATION, ALLOY WHEELS, FINGER PRINTS START, BLUETOOTH, KEYLESS REMOTE LOCKING WITH 3 SETS OF KEYS. 1957 2 DOOR SPORTS COUPE IMPORTED FROM CALIFORNIA VERY DRY RUST FREE CAR, REBUILT WARM 350 ONLY DONE A COUPLE OF HUNDRED KMS, TURBO 350 AUTO RECENTLY REBUILT, NEW RADIATOR, NEW EXTRACTORS AND TWIN SYSTEM, NEW ELDERBROCK CARBIE, ALL NEW BRAKES, DISC&apos; S, HOSES, BRAKE LINES, BOOSTER AND ALSO A VACUME PUMP FOR BETTER STOPPING, 3 INCH DROP STUBS RIDES VERY NICE FOR HIGHT, REAR AIR SHOCKERS WITH PUMP AND TANK TO ADJUST REAR HIGHT WHEN ON THE MOVE, CONTROLS IN GLOVE BOX, WORKS VERY WELL, NEW RIDLER RIMS AND TYRES 20X8. 1974 LINCOLN CONTINENTAL MK1V COUPE White with brown leather trim. Excellent condition throughout, RHD, very original condition, has had 460cc V8 reco motor fitted [from USA ] New radiator, water pump hoses etc.Chrome wire wheels, great looking car, reluctantly selling due to ill health..
seddon-vic Carpenter - view profiles of local Carpenters on Australia’s most visited Trade and Service Website. For More Info:- https://www.servicecentral.com.au/carpentry/in/seddon-vic/. 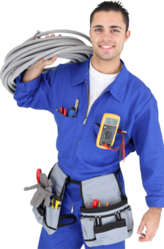 Carpenters Brighton East - view profiles of local Carpenters on Australia’s most visited Trade and Service Website. For More Info:- https://www.servicecentral.com.au/carpentry/in/brighton-east/. Chirnside Park Carpenters- view profiles of local Carpenters on Australia’s most visited Trade and Service Website. For More Info:- https://www.servicecentral.com.au/carpentry/in/chirnside-park/. Gisborne South Carpenter - view profiles of local Carpenters on Australia’s most visited Trade and Service Website. For More Info:- https://www.servicecentral.com.au/carpentry/in/gisborne-south/. Forest Lake Carpenters - view profiles of local Carpenters on Australia’s most visited Trade and Service Website. For More Info:- https://www.servicecentral.com.au/carpentry/in/forest-lake/. Emerald Vic Carpenters - view profiles of local Carpenters on Australia’s most visited Trade and Service Website. For More Info:- https://www.servicecentral.com.au/carpentry/in/emerald-qld/. Authentic bookkeeping in Campbelltown, Cambelltowns bookeepers for all your bookkeeping needs across Australia. 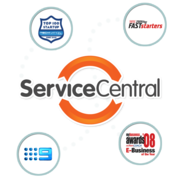 For More Info:- https://www.servicecentral.com.au/book-keeping/in/campbelltown/. 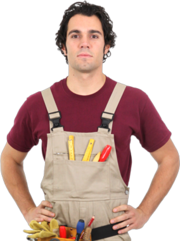 Wynnum Carpenters - view profiles of local Carpenters on Australia’s most visited Trade and Service Website. For More Info:- https://www.servicecentral.com.au/carpentry/in/wynnum/. 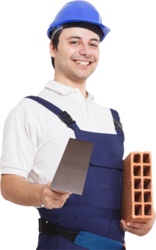 Pakenham South Carpenters - view profiles of local Carpenters on Australia’s most visited Trade and Service Website. For More Info:- https://www.servicecentral.com.au/carpentry/in/pakenham-south/. wodonga-vic Carpenter - view profiles of local Carpenters on Australia’s most visited Trade and Service Website. For More Info:- https://www.servicecentral.com.au/carpentry/in/wodonga-vic/. winston-hills Carpenter - view profiles of local Carpenters on Australia’s most visited Trade and Service Website..
warragul Carpenter - view profiles of local Carpenters on Australia’s most visited Trade and Service Website..
victoria-point-qld Carpenter - view profiles of local Carpenters on Australia’s most visited Trade and Service Website. For Mor Info:- https://www.servicecentral.com.au/carpentry/in/victoria-point-qld/. Bunbury ads Bunbury, All categories classifieds Bunbury, All categories free ads Bunbury, ads for sale Bunbury, ads to buy Bunbury, FREEADSAustralia Bunbury Page number 7-1. Find here ads for sale, to buy and rent in Bunbury. Goods for sale in Bunbury, vehicles for sale in Bunbury, Bunbury real estate for sale, Bunbury property for sale, property for rent in Bunbury, business ads in Bunbury, Bunbury business classifieds, services in Bunbury, Bunbury services ads, jobs in Bunbury, pets for sale in Bunbury, Bunbury dating, Bunbury cars for sale.